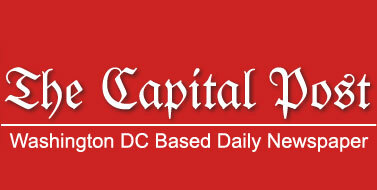 The Capital Post is a Washington DC based daily newspaper catering to a vast and selective audience of readers with the specific aim of bridging an ever-widening gap of mistrust and misperceptions that the South Asian community has regarding the United States. What makes The Capital Post different and distinct from our peers is the fact that at TCP, we are leveraging technology to reach as many readers as possible. Our approach is multi-pronged i.e. to encompass digital broadcasting, online resources, and other fast emerging digital formats, as well as deploying the traditional media of print, television and radio. The Capital Post aims to become the voice of millions of youth and young leaders spread across South Asia and the United States who share the passion to contribute for a literate, tolerant and terror free society in South Asian region. We are vigorously pursuing plans to be the best community based newspaper highlighting important political, national and international news and opinion. The Capital Post is not just a newspaper but a forum bringing together inspiring writers and think tanks whose insights influence in shaping the foreign and economic policies of the region. 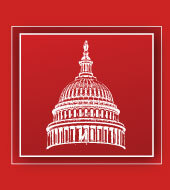 One of the cornerstones of our strategy is to make consistent and sustained efforts to help remove misperceptions the people have about the United States, while, at the same time conveying to our readers that a culture of debate should be promoted on core issues rather than just viewing the United States with mistrust and hostility. The Capital Post has so far earned respect of individuals from all walks of life for being a platform where people can openly voice their opinions. More than one million subscribers worldwide and twenty thousand daily hits on http://www.thecapitalpost.com further lay credence to publication’s ever-growing popularity. We at the capital post invite you to be part of our exciting journey to become a voice which promotes peace and harmony in the world.